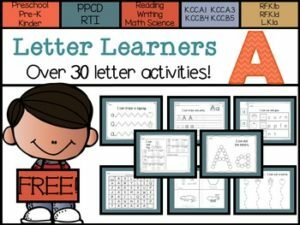 These activities include everything you need for a study of the letter for an entire week with math, science, reading, and writing! Perfect for toddlers, preschoolers, Pre-k, Kindergarten, PPCD, and Special Education. Number Knowledge Bundle: Numbers 0-10.